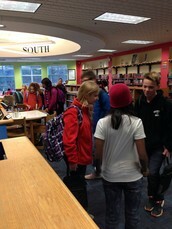 SPECIAL EDITION: A HUGE THANKS to YEF and the PTO from the HMS Library! The HMS Library has recently been the recipient of some extraordinary gifts! 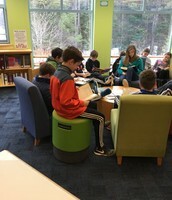 The PTO provided funding to purchase an iPad Mini and a Buoy ("action" seating")! We asked students to help name the iPad Mini and we're happy to announce that it now has the name Harry Padder. (Get it? iPad.....Harry Padder???) Our thanks to Maddy Corson for that great idea! 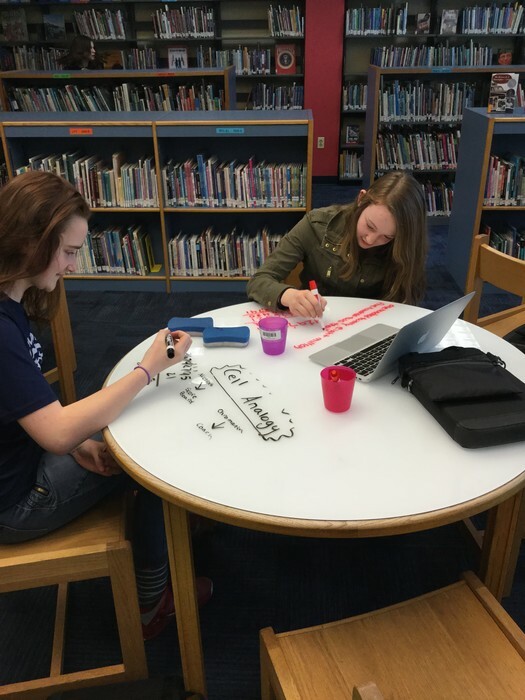 Joan Adler and Merry Stuhr received a YEF (Yarmouth Education Foundation) grant to acquire custom-sized glass whiteboard table tops for the HMS Library. 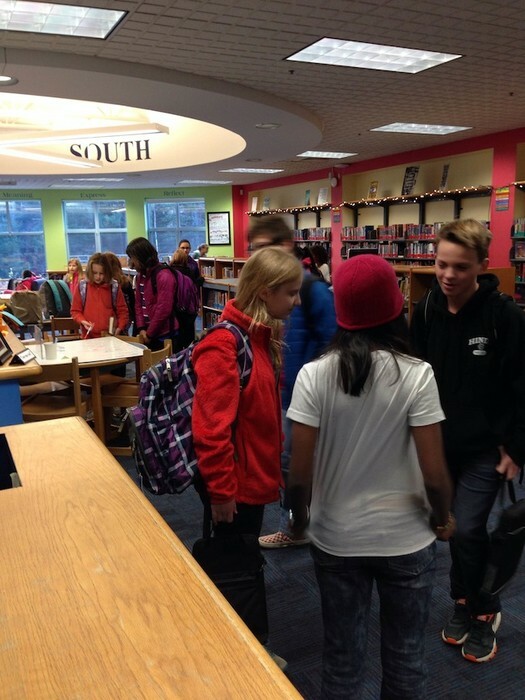 They arrived over winter break and are now in full use by all grade levels in the library! 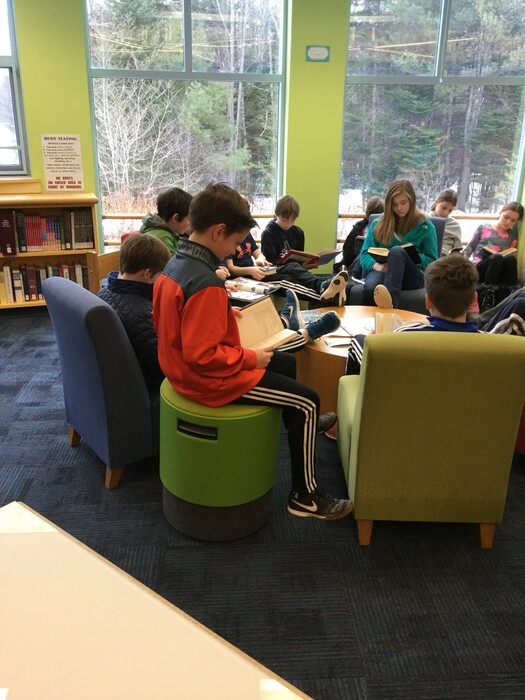 How are all of these new features being used in the HMS Library? What do the students think of them? Take a look! 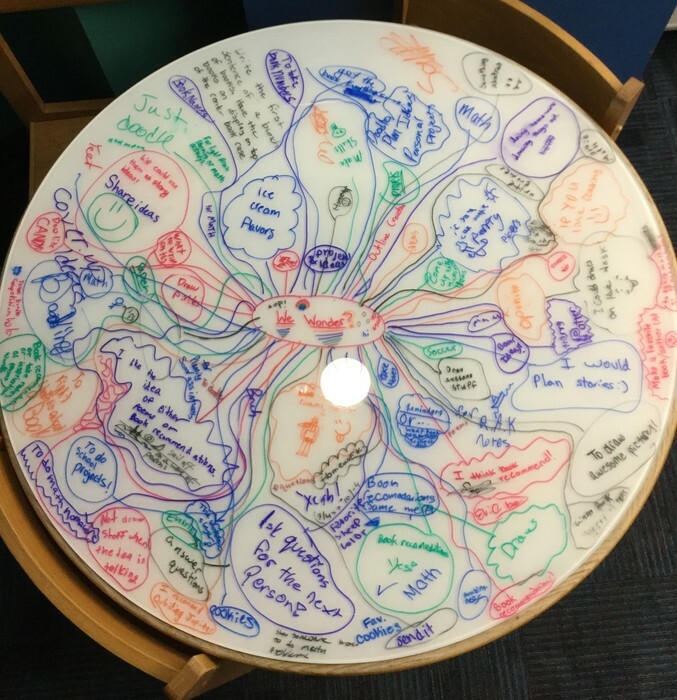 Glass Whiteboards • iPad Mini (Harry Padder) • Buoy Seating! 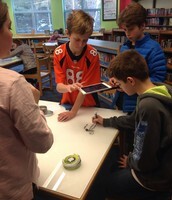 Four seventh graders created a stop-motion video to enrich their learning about plants. 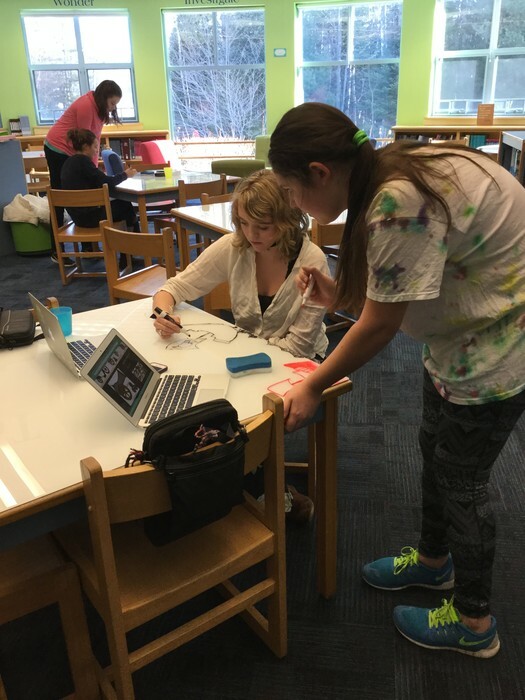 A project proposal was mapped out for Genius Hour (in seventh grade). 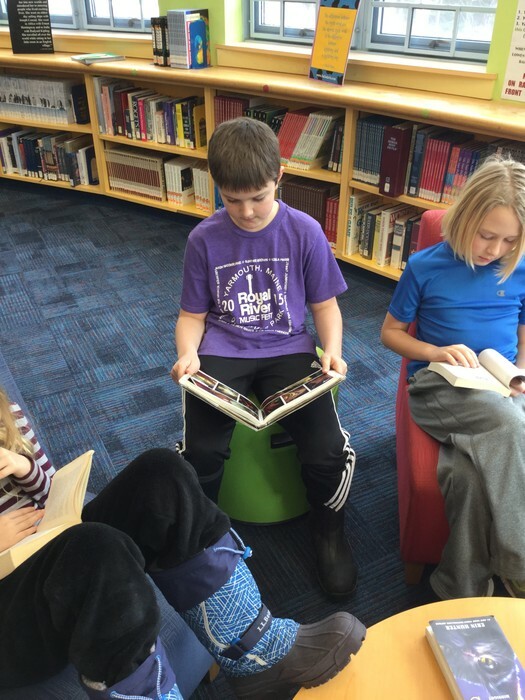 The new Buoy seating is a great place to read! 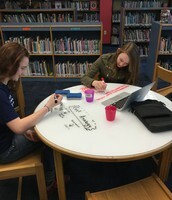 8th grade students sketching plans for a (personal) video production. 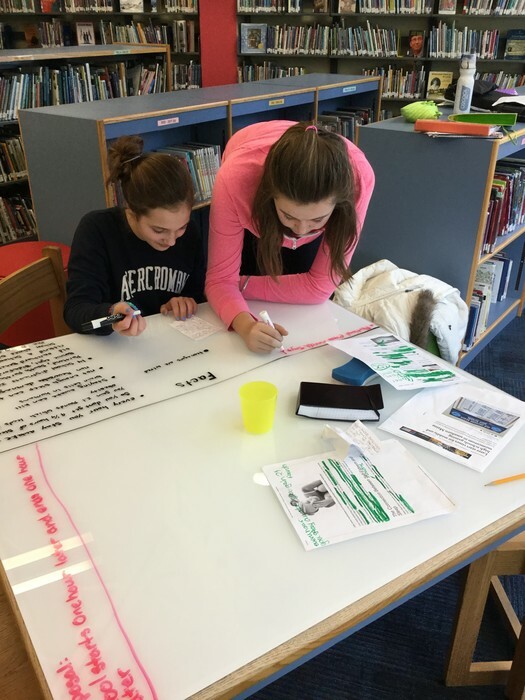 Spanish classes scheduled time to use the glass whiteboard tables to collaboratively structure sentences in preparation for an assessment. 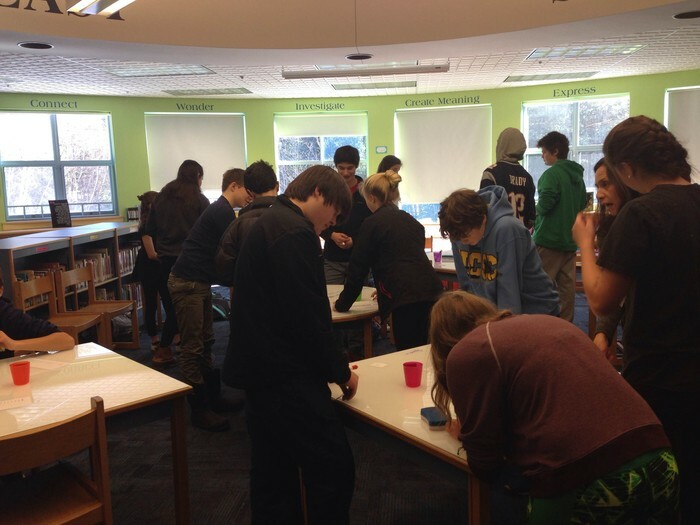 Students visualized their thinking to help understand cell design. 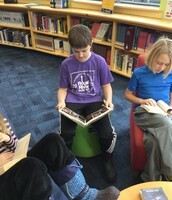 Everyone loves the new Buoy "action" seating in the library. 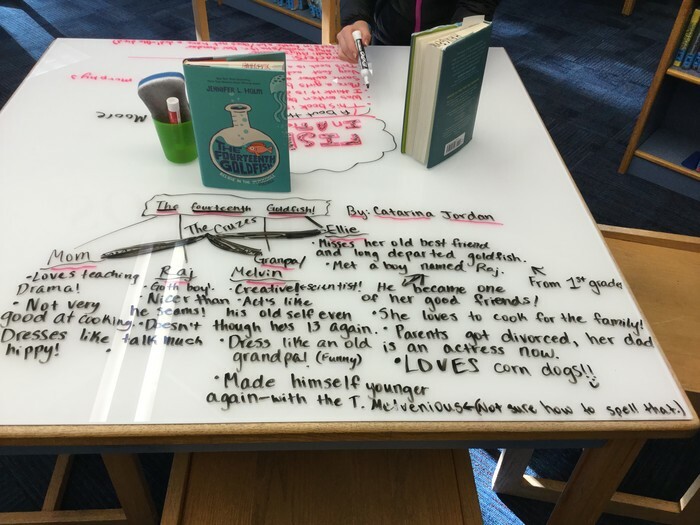 Sixth grade students have enjoyed analyzing their books using the glass whiteboard tables. 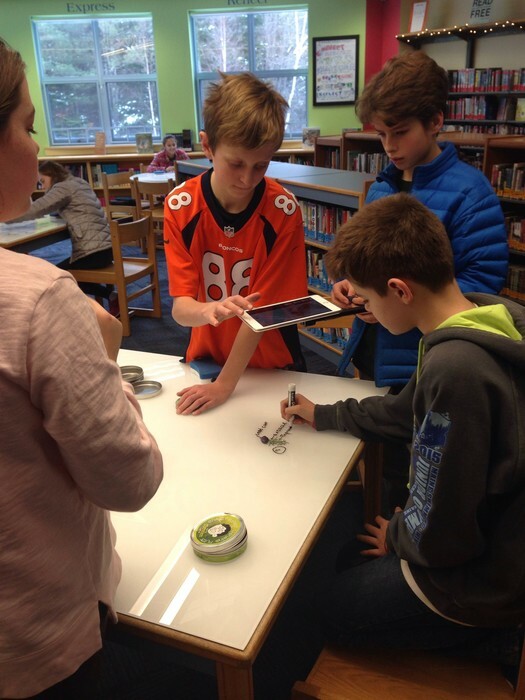 This stop-motion video was created by four seventh-graders: Conor Wolff, Colin Senger, Margaret McNeil and Will Cox. 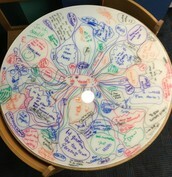 They used an app on Harry Padder (iPad Mini) to make it, using clay and markers on the glass whiteboard tables. "So efficient and so fun. Can't wait to use these again!" "They are very helpful. We don't need to bring paper!" "They are very convenient for projects and jotting down ideas." "It makes me want to do my work. These whiteboards keep me on task instead of messing around." 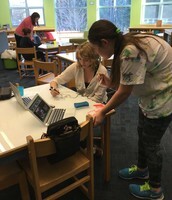 "The whiteboards are amazing tools! Kids can use them to make blueprints of projects." "I loved how you could really organize your thoughts! As a visual thinker, I found it very helpful when I wrote my essay." "I made a stop-motion video with it and had a lot of fun." "The gentle rocking is very soothing and a ton of fun." "These seats are amazing! Reading The Old Man and the Sea on a Buoy made me feel like I was on the boat, fishing." "Feels like I'm floating on the ocean." THANK YOU, YEF AND PTO!